Ben and Lauretta Patterson's ties to Westmont go deeper than his 17 years as campus pastor. Two of their children and a daughter-in-law went to Westmont, and another son worked on staff. As they watched students graduate, embark on careers, marry and raise children, they discovered the college shapes lives long after alumni leave campus. "I loved Westmont as a pastor and a parent," Ben says. "After 17 years, I'm not jaded or underwhelmed, which speaks well for the college. I was in the trenches, so I didn't have an idealized view of the college." "Being close to students over the years meant our ministry expanded to young couples and families," Lauretta said. She stayed home to raise their four children, and she was deeply involved at Westmont, discipling students, welcoming them into her home, meeting with women to pray for the college and leading a Bible study for friends of Westmont. Ben served as a pastor for many years then becoming chaplain at Hope College in Michigan before joining the staff at Westmont in 2001. He has written numerous devotional books on prayer and scripture. Their two oldest sons, Dan and Joel, attended Hope College. Joel served aswas the director of music and worship at Westmont where he led the chapel band and discipled students before joining his brother's business in Santa Barbara. Daughter Mary '06 majored in music, teaches at El Montecito School in Santa Barbara, sings in an ensemble, accompanies at Providence Hall High School and owns a piano studio. "Westmont helped her become a wonderful lay theologian," Ben says. 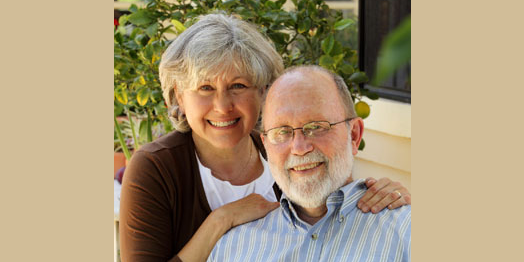 Gratitude for Westmont inspired Ben and Lauretta to set up a deferred gift annuity when he was still working at the college as part of their retirement planning. "Our kids flourished there," she says. "Our lives are richer because of Westmont, and we wanted to give back." Now that Ben has retired from Westmont, Ben and Lauretta are enjoying the additional retirement income provided by their gift annuity. Reproduced and adapted with permission from the spring 2011 issue of the Westmont College Magazine. For more information about gift annuities, and the benefits of a deferred gift annuity as part of a retirement plan, please contact the Office of Gift Planning at (805) 565-6058 or giftplanning@westmont.edu .